Last edited by cotiger on Wed Apr 16, 2014 9:29 am, edited 4 times in total. Got in earlier this week. Checking in, definitely a possibility and in my top few choices, depending on how the cycle goes. Congrats all! Does Berk do stipends for the ASW? I'm across the country and getting to California in the spring can be pretty expensive. Checking in! Admitted via email Dec 4th. Included a couple of letters talking about Berkeley's programs, two magazines, and a mini brochure. It came in a cool folder. No handwritten note. Last edited by Moonlight on Tue Jun 30, 2015 10:05 pm, edited 1 time in total. Getting nervous about what? You're already accepted right? That bit in the admissions packet there they listed all the average January temperatures in Chicago, New York, Boston, and Berkeley? I'm dying for that not-so-mean temperature of 50 right now. No more Ohio winters for me. Last edited by wowhio on Tue Dec 24, 2013 1:31 am, edited 1 time in total. Checking in. One of my top choices. Checking in as well! I am seriously considering attending next fall, I was very excited to get my acceptance this morning. Me too and they seem to be fairly generous with defraying airfare costs. At least compared to some of the other T14. Hope to see you all at ASW! ETA: Also, was everyone's packet focused on public interest? I ask because my entire application was focused on my interest in PI work but Berekely's also really well-known for their social justice programs. Just curious if these were personalized or if everyone gets the same things. Last edited by kershka on Sun Dec 22, 2013 2:53 am, edited 1 time in total. Checking in too! 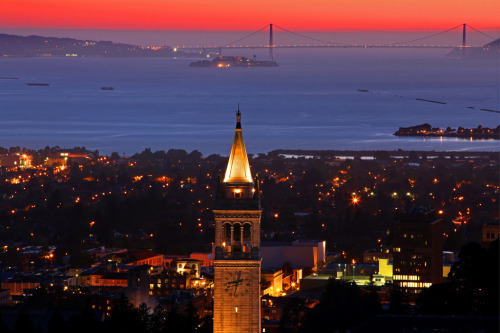 Spent a significant portion of my summer there and Berkeley is awesome! Definitely a very possible option. See you all at ASW! kershka wrote: Also, was everyone's packet focused on public interest? I got the public interest brochure in my packet, but my application was also pretty focused on public interest. So is Berkeley reducing their class size? In the packet I got in the mail from them, one of the letters mentions there being only 240 slots whereas the 2016 class had 263. Has there been any other indication that Berkeley is trying to reduce their size? Checking in - right now Berkeley is right up there with my top choices! If I'm interested in business law, I realize that Berkeley may not be the #1 choice, but I am interested in working in San Francisco. Does the location outweigh the focus on social justice? Last edited by brotherdarkness on Sat Jun 28, 2014 12:32 am, edited 1 time in total. Checking in! Accepted via phone call 12/23, best christmas surprise ever. Berkeley was my top choice so I'm 99% sure I'll be attending. Has anyone found any good threads on where to live near Berk? Nooblarzlarz wrote: So is Berkeley reducing their class size? In the packet I got in the mail from them, one of the letters mentions there being only 240 slots whereas the 2016 class had 263. Has there been any other indication that Berkeley is trying to reduce their size? There were a series of meetings to discuss reducing class sizes but I don't know what the final decision was. berndie90 wrote: Checking in - right now Berkeley is right up there with my top choices! If I'm interested in business law, I realize that Berkeley may not be the #1 choice, but I am interested in working in San Francisco. Does the location outweigh the focus on social justice? The majority of the class goes on to work at a firm, so I think you'd be in good company. nutsforboalt wrote: Checking in! Accepted via phone call 12/23, best christmas surprise ever. Berkeley was my top choice so I'm 99% sure I'll be attending. Has anyone found any good threads on where to live near Berk? I would suggest living close to campus for your first year. Either on-campus housing or housing within Berkeley but on a direct bus line would be best. Housing in the area is really expensive though so it will depend a lot on your budget and what you want (roommates, own place, dorm room). So... What are you all planning to do in terms of lodging for Admitted Student Weekend? I was just checking and hotels are super expensive dear Lord. wowhio wrote: So... What are you all planning to do in terms of lodging for Admitted Student Weekend? I was just checking and hotels are super expensive dear Lord. Maybe if ten of us share one hotel room, we can afford it? Looking on Kayak, there were a couple brand-name (albeit two-star) hotels at under $100 a night. I guess that's an option. Berkeley doesn't offer any student housing options I assume? Otherwise if you're looking to go super budget, there's a hostel right off of campus that has beds for only $32 a night. Piedmont House. berndie90 wrote: if you're looking to go super budget, there's a hostel right off of campus that has beds for only $32 a night. Piedmont House. Thanks for this very helpful tip. Update: Booked! C'mon guys, let's fill the place up!